Personnel working on offshore wind farms during construction and or maintenance. To train the delegates in acquiring a sufficient level of understanding of circumstances, hazards and skills in relation to safety techniques and basic emergency response actions, while working at (or traveling to and from) an offshore wind location (WTG). Danger and symptoms of hypothermia and drowning. Knowledge of life saving appliances (LSA) and personal protective equipment (PPE). Safe transfer from vessel to dock, vessel to foundation (TP) and vessel to vessel, boat transfers. Knowledge of the emergency and safety procedures on installations, vessels and wind turbine. Recovery and first aid treatment of a “man over board”. 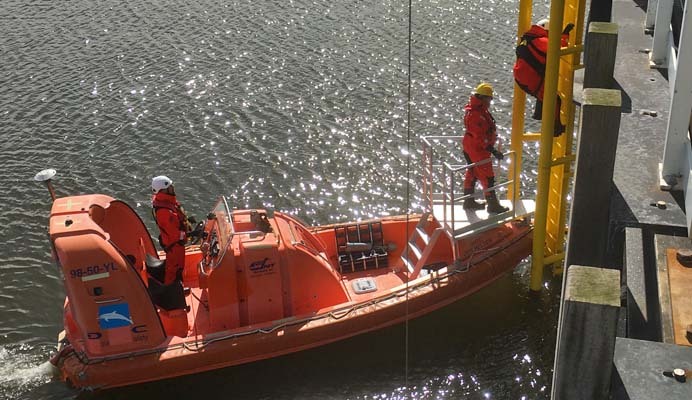 Evacuation from an offshore wind turbine to water by means of 'Constant Rate Descender'. 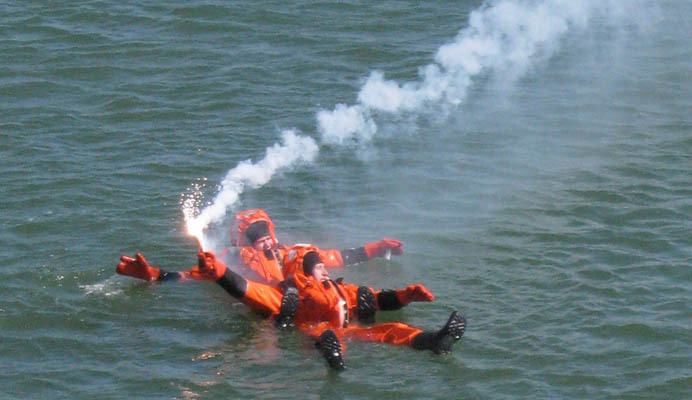 Sea Survival, personal and group survival techniques, sea rescue and helicopter rescue. No medical certificate required, delegate must be fit for work. A valid Offshore (NOGEPA / OGUK / OLF/ AWMF)or sefarers medical certificate is advised. For groups we can schedule this course in consultation. The training will be registered in WINDA.